Dropbox is now available in Yahoo! Mail, reports both the Dropbox company blog and Yahoo! Mail blog. The integration of Dropbox (YC S07) allows Yahoo! Mail users to both attach Dropbox files to new emails and save file attachments directly to Dropbox. The Dropbox-Yahoo! partnership is a good deal for everybody: users, Dropbox, and especially Yahoo!. Users of Dropbox and Yahoo! both benefit from the convenience of cloud storage integration with email. Yahoo! Mail has at least 281 million worldwide monthly visitors, reports GigaOm citing comScore. 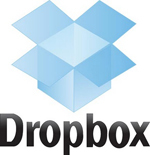 Dropbox reportedly has over 100 million users, according to The New York Times. Integrating these two services will definitely make the daily routine easier for a lot of people. Dropbox benefits from this arrangement by having a big source of new customers, to say the least. Yahoo! is the number one email provider in the U.S. and number three in the world. Yahoo! Mail is also one of the longest-running and most established web-based services on the Internet. With Dropbox as the default, it’s unlikely most users will go out of their way to use an alternative cloud storage solution. 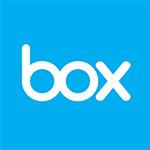 Dropbox also potentially gets a greater return on its recent purchase of Orchestra, makers of Orchestra To-Do and Mailbox. Mailbox currently only works with GMail. This Dropbox-Yahoo! deal makes it likely that Mailbox will eventually support Yahoo! Mail. Yahoo!, though, is the biggest winner in all this. Marissa Mayer herself has said that strong partnerships are fundamental to fixing Yahoo!. Working with Dropbox makes one of Yahoo!’s most valuable properties (Mail) more competitive against Google’s Gmail and Microsoft’s Hotmail. Both Gmail and Hotmail each already have their own native file storage, respectively Google Drive and MS SkyDrive. 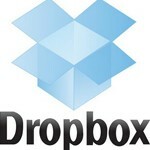 Dropbox integration also has greater strategic implications for Yahoo!. Dropbox has a very enthusiastic developer community. Solid integration with Yahoo! Mail provides incentive for Dropbox developers to lend their talent to Yahoo! products. Yahoo! also doesn’t have its own smartphone platform. Neither does Dropbox. However, Dropbox is extremely well supported on all major smartphone platforms. Just by partnering with Dropbox, Yahoo! will gain much-needed traction with both developers and mobile. So this is a well thought-out deal. Users of Dropbox and Yahoo! Mail will find it easier to use both services. Dropbox gets new customers and a return on its purchase of Orchestra. And Yahoo! stays technically competitive, potentially gains developer interest, and has a new in-road to get traction on mobile. Everybody benefits.